Although I adore accessories, I think there's something lovely about an un-accessorized outfit. This weekend we made a last minute visit to spend time with family in Chicago. The Grandparents really missed Grace. I found out (through Facebook of all places) that Transformers 4 was having a casting call for extras in Chicago. They were looking specifically for FBI and military looking professionals. I freaked out… this is perfect!!! If I can’t be a government official, at least I can pretend to be one!!! Have no idea what I’m talking about? See previous post here. They were also looking for extras who are Asian for a HongKong scene- women, men and children. I’ve never been to a casting call before and was so excited that I dragged the whole family to this crazy event. Poor family. It was crazy alright! Over 2000 people showed up on the first day in 100 degree smoldering hot weather to be in this movie. Many braved the scorching sun dressed head to toe in military wear and sunglasses, looking like Men in Black. They weren’t joking around I tell ya... it was the whole nine yards! Women wore 5 inch stiletto’s and suits, equipped with headshots and photos to hand out to the casting directors. I wore jeans and a random polka-dotted T-shirt. I forgot my writing utensil. Clearly I didn’t know what to do for a casting call. This experience has given me a whole new appreciation for people who do this for a living. To get a part in a film is so much work! Kudo’s to those who have done this for a living, it really isn’t easy! Did you give her the link to your blog specifically the agent and apocalypse posts. You are talented and would be great as an extra in the movies. And if you get the call and make it in the movie footage, you would be able add actress on your CV. You look really sweet here! Love this unaccessorized outfit! Such a lovely outfit! I really like the heart print shirt with that skirt! You look so charming sweety, love the pretty heart print blouse, looks amazing with the skirt. BTW, I love this simple very classy feminine look. Totally suits you. Also - I love this outfit, your blouse is adorable and looks so great with that bright skirt! I love this look! I've been on the hunt for the perfect bright pencil skirt and the one you are wearing is perfect! Wow that's crazy! Good luck! I bet you'll get picked :) You and your family are so cute! I love this skirt! The little ruffle at the bottom is so cute and I love the color and texture. Darling top too! Cute outfit! I like to go accessory free sometimes too. And I hope you get to be an extra in Transformers 4!! Wow that is awesome and would totally be SO perfect for you! Who even knew they were making a Transformers 4, haha. Love your heart blouse and this skirt, you look beautiful! Good luck! That's so exciting! I love this look too. I think subtle accessories can work quite well. You're so cute! That's so fun, I would love to be a part of a movie! My sister was an extra recently and she said it was so fun. christy, you are a girl after my own heart!!! i've always wanted to do the same thing. they make a lot of movies in new orleans, because it's cheap. i am praying that you and your cute family get the part. i think that would be so awesome. if it's meant, it's meant! i love how you guys got to bypass that long line. secondly, i don't wear many accessories either. i just don't like to be bogged down with a lot of stuff. i'm no fuss. so i love your style. very pretty skirt (love the color) and the hearts on your top are so cute. love! have a great week! Ahh, that's so exciting! It'd be so cool just to say that you were in a big movie like that. Anyway, you look adorable in the heart print! Following you on bloglovin' more and I'm definitely looking forward to seeing more posts from you! Good luck! Love these photos. How adorable are you?! I love the heart print and the drop waist skirt :) I totally saw the filming this weekend as Audie and I drove by...I was like...what are they filming here? Congrats on being on ModCloth!!! And your polka dot top and pretty skirt are so lovely! nice outfit, love the skirt so much! I really like your blog by the way, followed you on bloglovin, maybe follow me back? Cute blouse! That's great that you were able to go through the process without waiting in a crazy long line... hope you get that call back! Congrats on the ModCloth feature! Cannot imagine paining through another Transformers movie. The last two were horrible. But then again, the first one was so good. Lovely outfit. I like the combinations of black, white and turquoise. i'm soo happy that you got featured! congrats!! I adore that heart shirt, it's too cute. And good luck with your casting call! Being an extra in a movie is definitely on my bucket list! I realllllly hope you get a call back - I think that would be such an amazing experience! Cute outfit! I love your sense of style :) Good luck with your casting call too! Lovely outfit! Love these pictures. I am already obsessed with polka dots, but heart dots... too much cute! Thank you for such a kind, thoughtful comment! I must say, for the past hour, I've been addicted to reading your older posts haha! On another note, I love the color of the skirt and the way the bag's leather is cinched in really makes it look more fanciful. This type of beautiful attire! I enjoy the guts printing tank top your blouse! How cool to be an extra in a movie! Hopefully you will get a callback. Love the heart print blouse and it looks great with the skirt! Well with the hear print the pop of color and the white belt you really don't need accessories. cutest outfit ever! LOVE the hearts, and the teal skirt and the cute flow on the skirt! darling! I absolutely LOVE your outfit! The blouse looks darling w/your pretty skirt. That's SOO cool that you auditioned for an extra in the film. How exciting is that? It would be a dream come true for me because I'm such a film buff. I need to visit Chicago and NYC more often, because there's always castings going on. Anyway, I love your outfit. I agree, sometimes accessories detract from a look and sometimes, the best look is the simplicity. Love this combination, it has so much charm to it. Super cute! Just WOW all around! You just happened to run by the right person? Maybe it's meant to be! 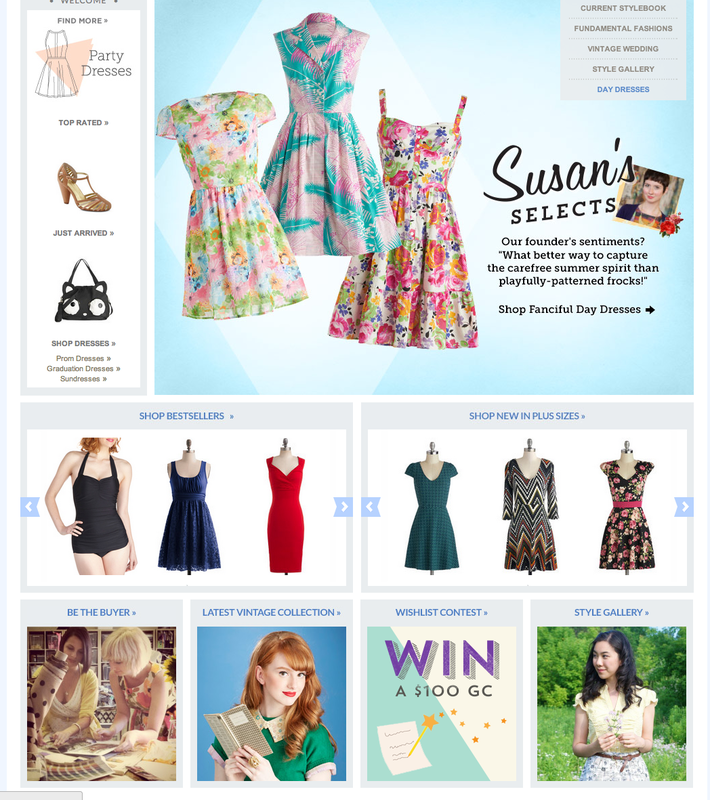 And on the front page of ModCloth? Congrats - what a coup! Loved reading this post - all happy news. And that shirt is adorable. Love it!